In the time it would take you to get a coffee at Starbucks, you could have a clear photo of your community’s storm or sanitary sewer main. With the introduction of the new haloptic quick view camera, you can quickly and cost-effectively inspect your sanitary and storm sewers to identify structural and maintenance issues and identify sewers that should receive closed-circuit televising (CCTV) and cleaning. This piece of equipment combines an optical zoom camera with a haloptic light source that projects a halo shaped column of light conforming to the sewer main. The result is clear, digital video of conditions as far as 175 feet into an 8-inch sewer. View a “real time” snapshot of your storm and/or sanitary sewer mains. Identify and isolate a problem area. Bypass the need to contact a costly CCTV company to clean and televise mains that may not be part of the problem. Plan and prepare for future maintenance and rehabilitation projects. Check out this video clip which identifies a partially collapsed sewer main at a 90° bend in the City of Beech Grove's sanitary sewer system. 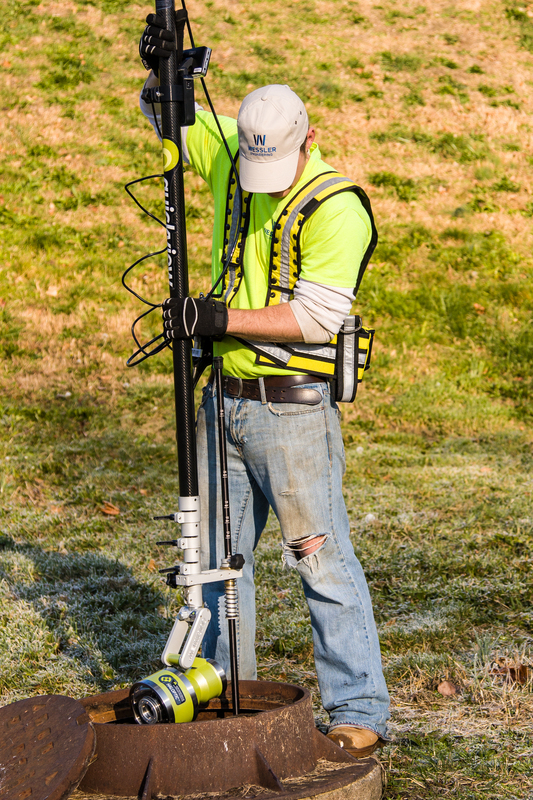 For a more updated version of this blog post, please review Performing Quick and Economical Sewer Inspections, which includes advantages and disadvantages of the pole camera.